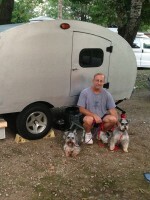 Teardrops n Tiny Travel Trailers • View topic - is this a new bicycle camper? is this a new bicycle camper? I just inherited this from a roadside collection. Could this be a new bicycle camper? A foamie of course! Re: is this a new bicycle camper? Go for it. 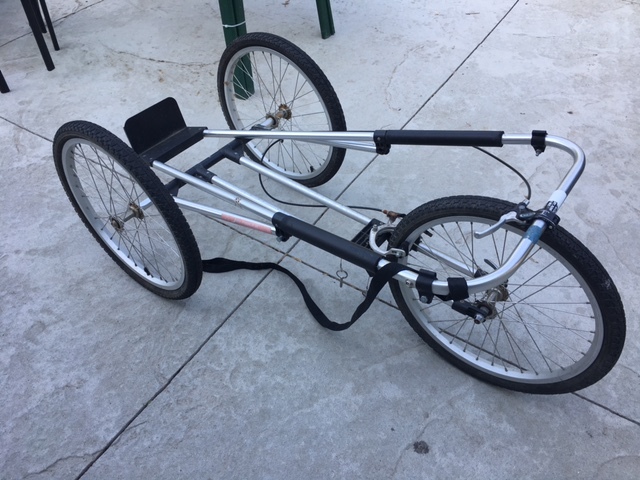 I used the two wheeled sub assembly from a similar stroller for my music trailer. We had one of those strollers when my son was little. Probably the best stroller we had. I think the rear wheel mounts might be a little light for a adult size human, but I never looked that closely. Could be a fun project! It could be great for kids or even dogs! I imagine a big and fluffy doggy sleeping inside the teardrop.